Preheat your oven to 350 degrees. Combine all of the ingredients except the ketchup in a medium bowl and mix well. Place the mixture into an ungreased loaf pan and then spread the ketchup over the top of the meatlof. Bake for 1 to 1 1/2 hours until center is no longer pink. This recipe will provide your family with a well balanced and wholesome meal full of protein and carbohydrates. 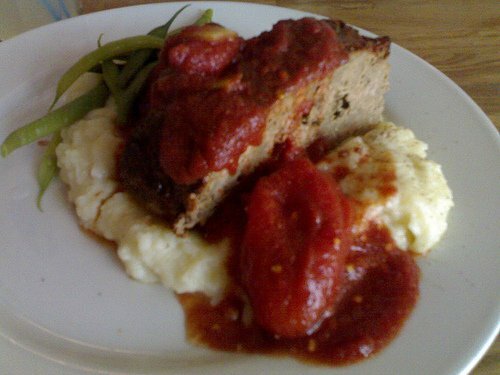 Serve the meatloaf with glasses of ice cold milk and a healthy green salad for an appetizing dinner.